Holmes and I are delighted to welcome Piper’s FIRELANDS Apocalypse Blogger Challenge Winner MJ Wright. MJ is one of New Zealand’s most published historians and writers and a heckuva nice guy. His latest release, the Bateman Illustrated History of New Zealand by Matthew Wright, is available now through Fishpond for New Zealand readers. For those of us who do not live in Lord of the Rings Land, keep an eye out for it on Kindle, Kobo, and iPad. In addition to a guest post here today and a month-long seat of honor at the upcoming Bayard & Holmes website blog, MJ is today’s featured blogger at Social In Worldwide, Inc., the premier Twitter-driven news and events network of the nation. In fact, I twisted his arm and convinced him to come on board as one of our Social In team. Look for more of MJ’s excellent work over at Social In DC or at one of the many Social In sites across the nation. Follow MJ on Twitter at @MJWrightNZ. Congratulations on your win, MJ! We’re so pleased to welcome you here to Bayard & Holmes and to the Social In family. A couple of weeks back I read Firelands, debut dystopian thriller by US author Piper Bayard. To call the book fantastic is an understatement. I was hooked from the first pages, dropping the book I was writing myself, despite looming contract deadline, so I could keep reading. Firelands is set in a post-apocalyptic future where the United States has become a theocratic dictatorship – a provocative setting that makes the novel far more than just Hunger Games for grown-ups. Firelands is in a class of its own. A wonderful, insightful, thoughtful and exciting story. Bayard’s instrument of doom is a supervolcano – Taupo – that casts the world into darkness. A scenario that’s not just plausible. It’s already happened at least twice. I live within 260 km of Taupo’s Hatepe vent, so I thought I’d post about the historical apocalypse while scrabbling for my asbestos suit, hard hat and breathing apparatus. 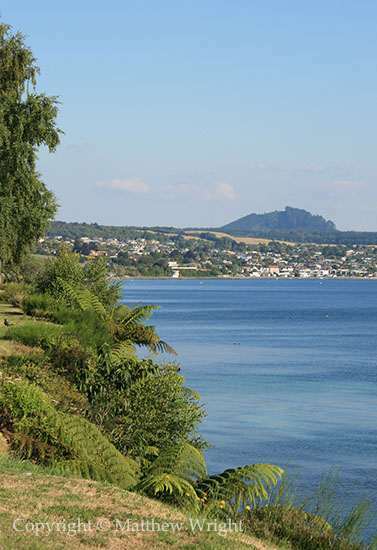 On the face of it, Taupo is a lake with thermal district. The full name is Taupo-nui-a-Tia; ‘the great cloak of Tia’, referring to a flax cloak of the rangitira Tia. It’s often mispronounced. The first syllable rhymes with ‘tow’ as in ‘towing along’. Technically, Taupo should also have a macron over the o, indicating a long vowel. In IPA terms it’s‘tau-poh, which is close. The science behind that hellish setting emerged only as vulcanology developed through the twentieth century. Turns out the lake is a caldera, part of an immense volcanic field stretching from Mount Ruapehu to the Whakatane underwater volcano. The field has erupted many times. White Island is active now, monitored by a webcam and plastic dinosaur. 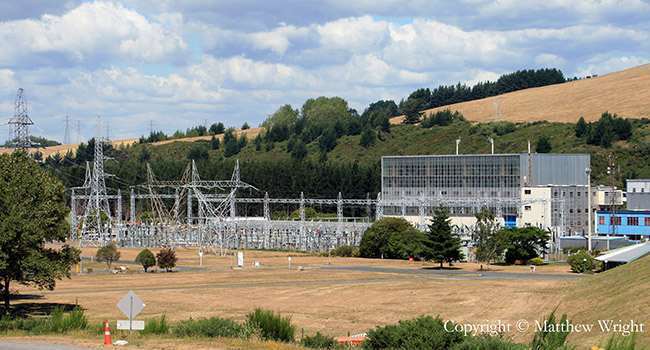 Geothermal steam from the Taupo system is used to generate up to 13 percent of the North Island’s power. This is my photo of the Wairakei station. The techniques were developed in New Zealand. All are dwarfed by Taupo itself, the centre of the system. 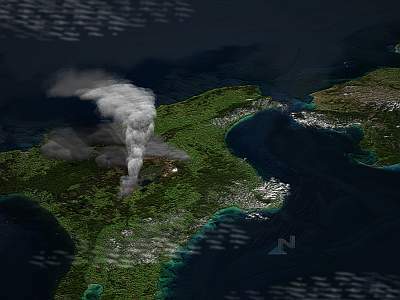 The last eruption around 180 AD, from the Hatepe vents near the south of the lake, was modest by Taupo standards, but still cast the world into shadow. The benchmark remains the Oruanui eruption 26,500 years ago (earlier analysis cited 22,690 ±230 BP), to the north of the current lake and the world’s last eruption to score 8 on the Volcanic Explosivity Index – the maximum. Back then, the lake was different, known to paleogeographers as Lake Huka. In 2012, PhD student Aidan Allen discovered the trigger for this cataclysm was likely an earthquake. The eruption blew out the current lake bed – and more. Everything in the central North Island was destroyed by a fall of ingimbrite some 200 metres deep. Then there were devastating floods. Even the major river, the Waikato, changed its course. Ash fell as far away as the Chathams. It was a world cataclysm. Although debate continues over specific triggers for Pleistocene glacial cycles, there is evidence that the worldwide glacial maximum that began 26,500 years ago was pushed, in part, by this eruption. In New Zealand, certainly, a warming period prior to the eruption came to a dead stop afterwards. Oruanui may not have caused the glacial cycle alone – but it made things worse. Humanity was nearly wiped out in the deep cold that followed. The downturn seems to have been the last blow for Neanderthals, our cousin species already reduced to the edge of extinction at Gibraltar. It destroyed a nascent H. Sapiens agricultural revolution among the Gravettian culture in what are now Russian steppelands. Had that not been cut short, civilisation might have been with us 20,000 years earlier. This was the apocalypse, Pleistocene style. And to give that perspective, the Oruanui blast was itself dwarfed by the Whakamaru eruption in the same zone, 254,000 years ago. Hopefully it won’t happen in our lifetimes. Because when it does, it will bring the apocalypse. Certainly for New Zealand, maybe the world. As Spock might say…Fascinating. Makes our tiny little supervolcano at Yellowstone look kind of wimpy and weak. Wow! I had no idea you lived that close to an active volcano. No wonder your earthquakes are so intense. An amazing amount of research you’ve done. Totally fascinating. Congrats on the Firelands win too! Hi MJ. Thank you for the insight. I knew that NZ was volcanic but I had no idea of the scale and magnitude of the activity. It’s colossal. Similar scale to Yellowstone but more active. Auckland is built right on top of a huge volcanic lava bubble, quite apart from the line of active vents running from Ruapehu through Taupo to White Island. 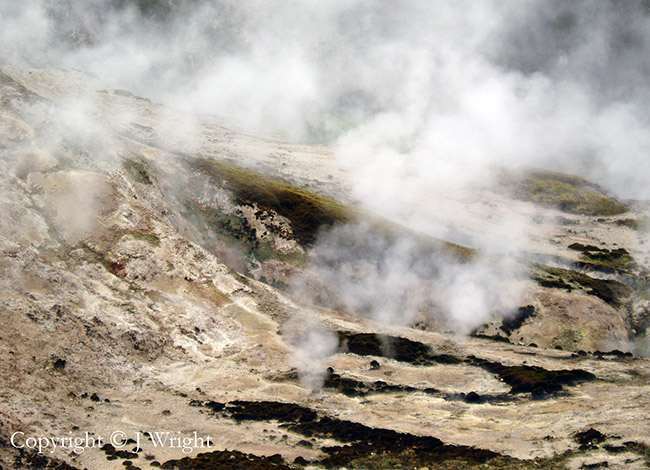 Tarawera exploded in 1886, with loss of life and huge devastation. White Island’s pretty much constantly erupting. And there are extinct volcanoes like Akaroa which make clear it’s been a moving and rather persistent issue here. Wow, this is actually very scary! Totally interesting read!